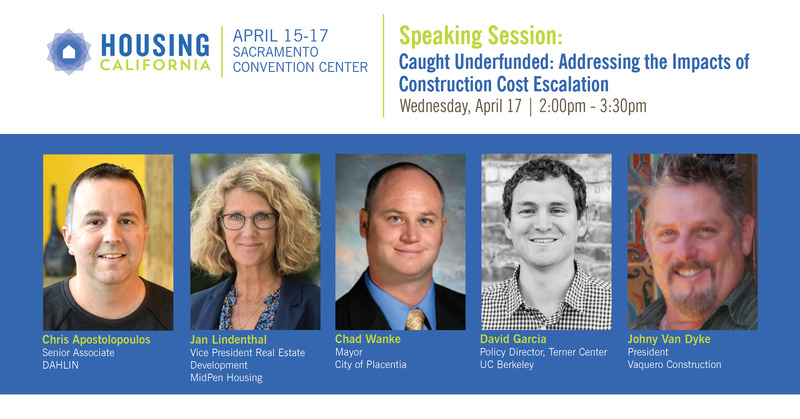 Senior Associate Chris Apostolopoulos will join Jan Lindenthal of MidPen; Chad Wanke, Mayor of the City of Placentia; David Garcia of the Terner Center, UC Berkeley; and Johny Van Dyke of Vaquero Construction as they "Address the Impacts of Construction Cost Escalation." We'll also be exhibiting! Be sure to stop by our booth.